A seriously clever bed with all you could wish for in a midsleeper - a chest of drawers for your clothes and a desk that extends out offering a big useful working space as well as featuring integrated shelving. 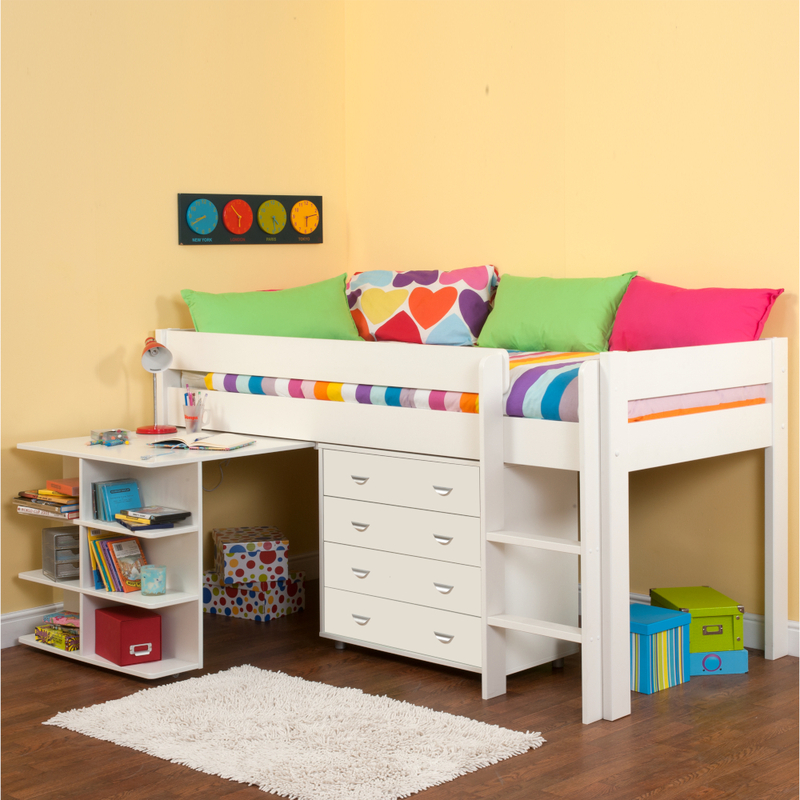 The main construction of the bedframe is produced in solid pine providing durable long lasting quality. Trendy design with two railed headboards. Pull out Desk and Chest of Drawer produced in hard wearing MDF. Features Mid Sleeper with pull out Desk on castors 4 Drawer Chest.